Coat giveaway was a huge success! What a day it was! 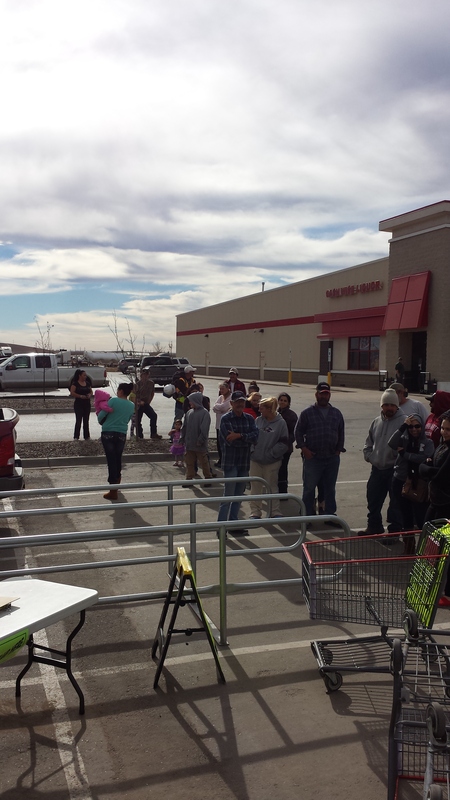 we had 30 plus people lined up to register before we were even ready to start.The first picture is of people waiting to get coats. The second pictureis of a family that were happy to get warm winter coats. 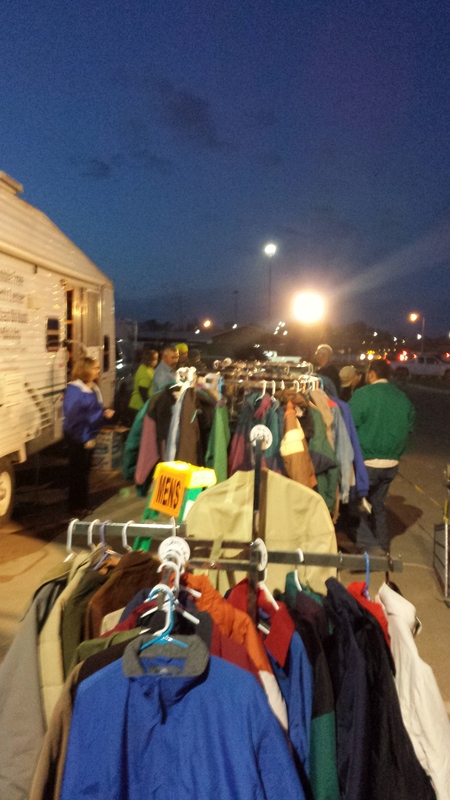 We went until 8 pm, so we had flood lights setup for the 4 coat racks we had outside with men’s coats on (3rd picture). The last hour was mostly guys who had just gotten off of work. 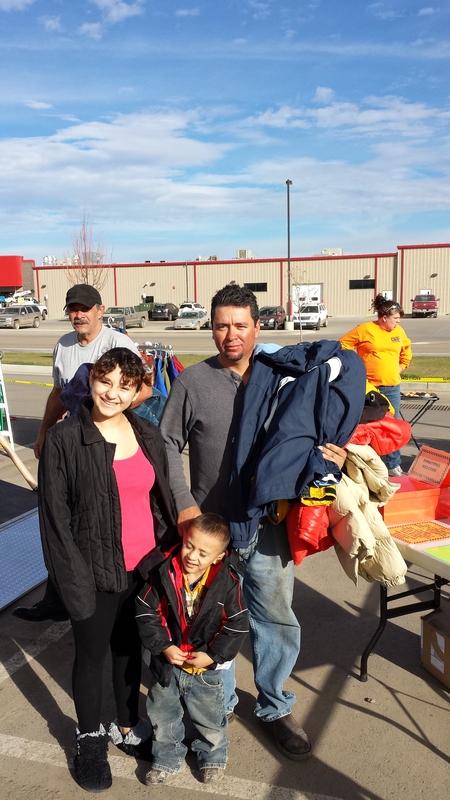 Greatest news…we gave away 470 coats yesterday. Compare that to the 90 we gave away a year ago. What a difference a year makes! We had great volunteer help. anywhere from 6 to 12 depending on the time of day. We are totally out of XL and larger coats. We have a few large, but they are lighter coats, really fall jackets. We also only have a few kids coats left. We are sending out a call for more coats, mens and kids! We are blessed to be here and help these people who are in need. Thank you to all who have prayed for us, given coats and other thrift items and have volunteered with your time. We cannot do it alone…and we know it!